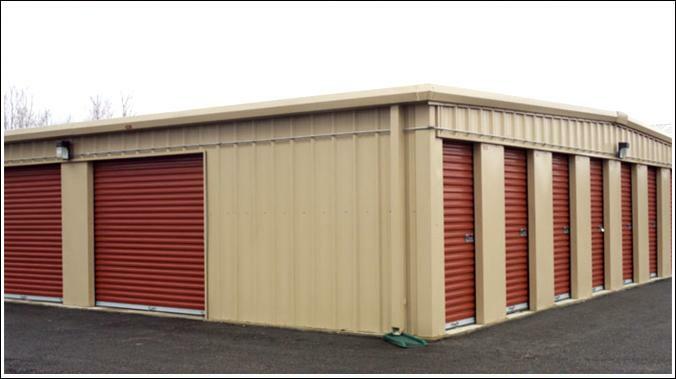 Metal buildings for sale by Hurricane Steel Buildings®. 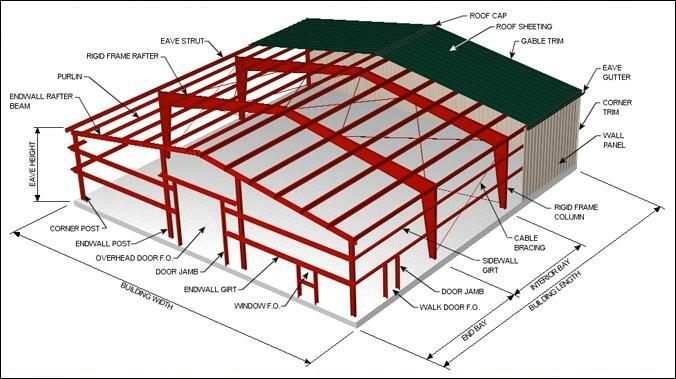 Hurricane Steel Buildings® are rigid frame I-beam metal building systems consisting of riding frame rafters - primary frames (structural steel members), secondary purlin members for the roof and girt members to support the walls (cold-formed steel & steel joists), and metal roof and wall cladding systems. There are four types of metal buildings but the I-Beam Rigid Frame metal buildings and the Quonset Hut and the kits are the most sturdy. The I frame is the most sturdy and adaptable of our four systems. Quonset huts are more popular in rural settings with the agriculture and farming industries. Rigid frame metal buildings are more aesthetically pleasing and just as strong and long lasting. The open clear span design allows more interior space with higher walls and the ability to customize the interior. The word “rigid” frame metal buildings comes from the beam to column connection which is one solid piece without the need for braces. The frame transmits beam shear force into the columns without extra support systems to resist the lateral loads. Metal buildings that use a rigid frame design are also superior to post and beam buildings.Vertical load on rigid frame structures are also picked up by the beams and transferred through the columns to the ground. The joints are strongly connected, preventing free rotation from occurring at the beams ends. Rigid frame construction is engineered to decrease deflections, decrease internal bending, and increase rigidity. This metal building type’s connections perform better in load reversal situations such as earthquakes. Pictured here you can see all the components that make up the rigid frame metal building kit, the most popular metal building on the market. The building sits on top of a and is bolted down to a concrete foundation. 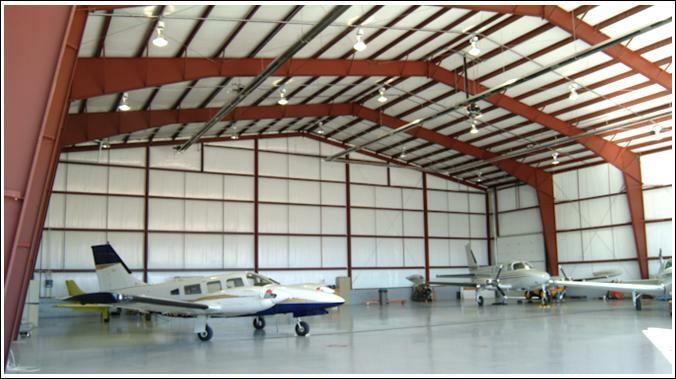 Metal buildings can be modified with various accessories such as air conditioning and ventilation systems for temperature and moisture control to your building. Choose from several types of entry doors, insulation, skylights, and you can even add solar panels for energy independence. These are all designed into the specifications so when you garage is assembled you can easily attach or install these add-ons. Turbine Vents - No power required and create a nice updraft moving air out of the garage. Wall Louvers - Placed on the garage walls to let cross ventilation through the building. The paint that goes on your metal building is part of the most technologically advanced painting system on the market today that guarantees your building’s exterior finish to last 40 years. It is a high quality silicone-protected polyester coil coating system designed exclusively for our metal buildings for sale. Prices for our metal garages are the least expensive among all wood and metal garages from start to finish including construction costs, materials, labor and delivery. 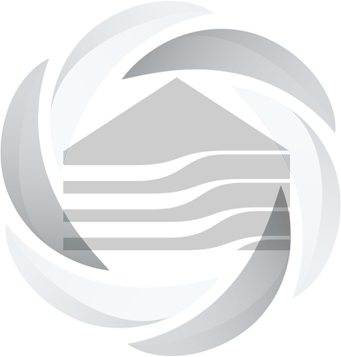 Our metal buildings can withstand hurricane force winds and have achieved the toughest wind and load certifications in the world. You can learn more about the price comparisons here. Often Hurricane Steel Buildings® has clearance sales where you can save thousands off our building kits that are already discounted factory direct to you, the retail consumer. So when you consider purchasing a building for your property or if you own a business and need a building consider all the benefits of buying a rigid frame pre-engineered building kit. If you have any questions call us at 954-944-1146 or send us a message online by contacting us here. You can always design and price your garage with our metal building price calculator. Add all the accessories, sizes, styles and even see the colors on your building, then get an instant price on your building according to your specifications. Only takes a few minutes! Of check out our clearance sale buildings.